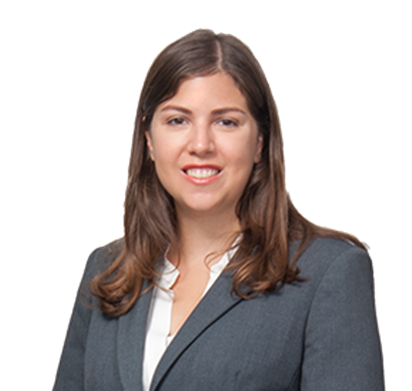 Margaret E. Strauss joined Arrowood LLP as an Associate in 2016. Her practice includes all areas of civil litigation, including business litigation, employment disputes, medical malpractice, and personal injury. Maggie is a 2016 graduate of Boston College Law School. During law school, Maggie served as an Articles Editor of the Boston College Law Review and her note was published in the journal’s September 2015 edition. Maggie also spent a semester working at the Boston College Legal Services LAB where she provided pro-bono legal services to low-income clients in family law and housing cases. While in law school, Maggie clerked at the law department of the City of Boston, where she assisted with the litigation of a civil rights case in federal court. Maggie also spent the summer after her second year of law school as a Summer Associate at Arrowood LLP. Before law school, she spent two years working as a paralegal, with particular focus on toxic tort litigation.